One (1) set of two identical brass keys, attached to a thin-wire, silver-tone key ring. Both sides of each key are marked "GRAYHILL LA GRANGE, ILL." Both edges of each key have been notched. 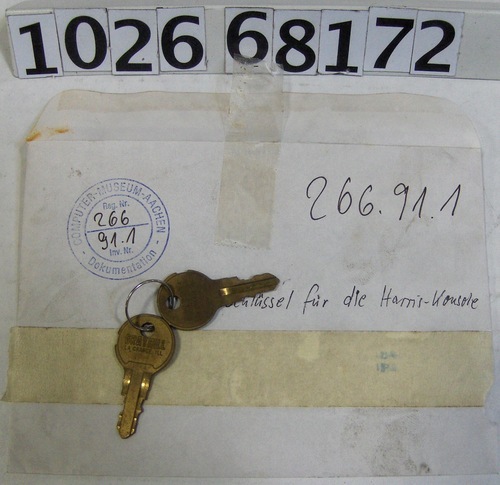 A small white envelope from the Aachen Computer Museum, Germany, is included with this record, and is marked "Schlussel fur die Harris-Kousole."